Snacks | Superior Vending Ltd.
Everyone snacks. 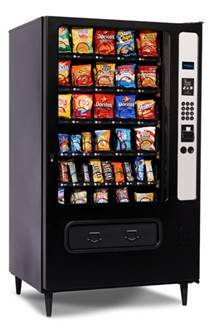 Superior Vending offers both snack and frozen food vending machines. Serving Regina, Saskatoon and Moose Jaw. ONE OF THE BEST CUSTOMER EXPERIENCES IN THE SNACK & DRINK VENDING MARKET. Crane’s Merchant range is the complete solution to your vending needs. The machine leads the way for choice driven consumption, with the Merchant 6 offering 50% more selections than the average snack machine. 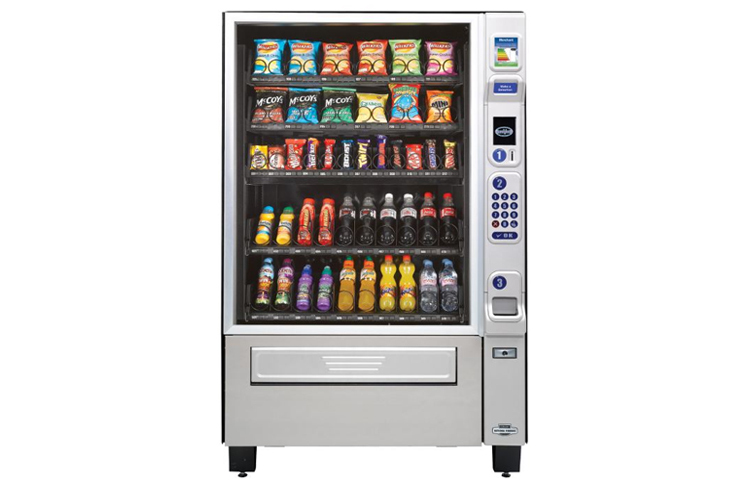 With the extra space you’re able to expand the machine’s product range to include healthy snacks and drinks, ensuring every customer’s needs are met. And with a glass front and LED lighting display, it’s sure to bring in those impulse sales. The Merchant is available in two models: Merchant 4 and Merchant 6. We provide snacks from all major manufacturers: Frito-Lay, Old Dutch (Gluten Free), and Covered Bridge potato chips; Hershey, Cadbury, Nestlé, and Effem chocolate bars, among others. We can also provide cookies, puffed wheat and crispy rice squares, cereal bars, and pastries. Other machines can be filled with ice cream treats.